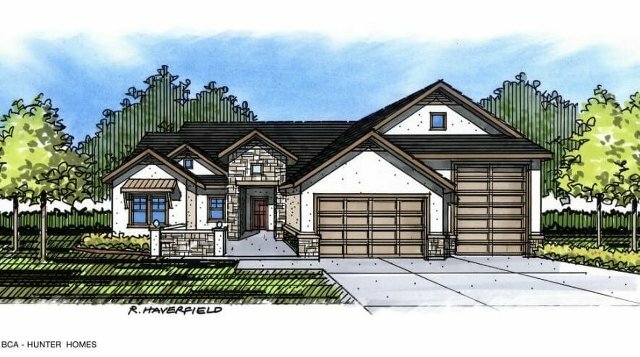 2018 Boise Spring Parade of Homes is here! What: Local builders showoff the latest in design and new construction technology. Enjoy over a dozen gorgeous homes ready for your viewing pleasure! 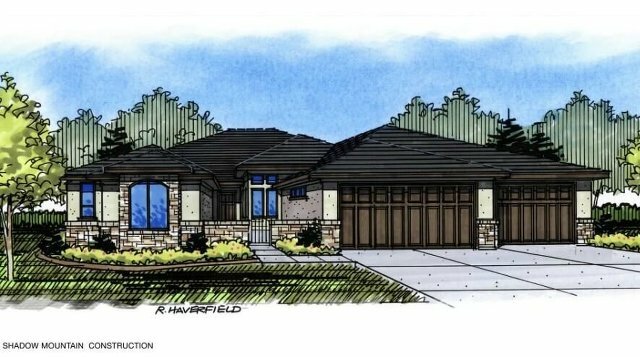 “The Grand Teton Double RV” another New Age Lifestyle Plan by Sunrise Homes, features a 2828 sq. ft. 3.5 Bath Single Level Ranch Style Home, fitting everyone’s lifestyle suitable for people of all ages. The Chef’s Designer Island Kitchen with Appliance Pantry opens to oversize Dining Room and Great Room with soaring Beamed Ceilings and a full wall Fireplace and a full Wall of Windows to let the outside in! Enjoy the Special Double RV Bay! 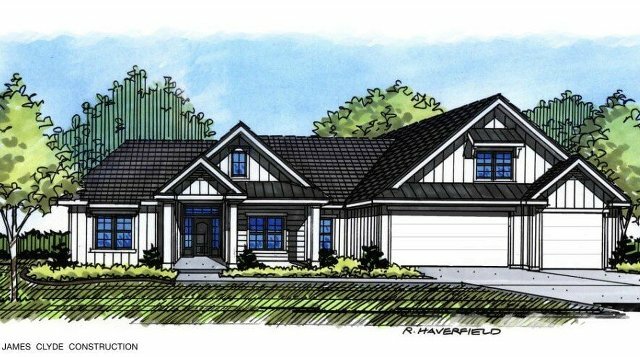 Vantage Homes is pleased to introduce you to “Thornbury”. Its classic “Tudor” style meshed with today’s modern day design and flare, creates a warm and welcoming aura the second you walk through the door. 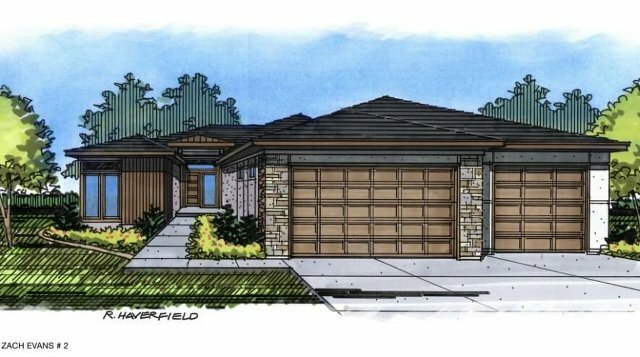 Thornbury is a 3 bedroom, 2.5 bath, with office, and 40+ foot RV garage. 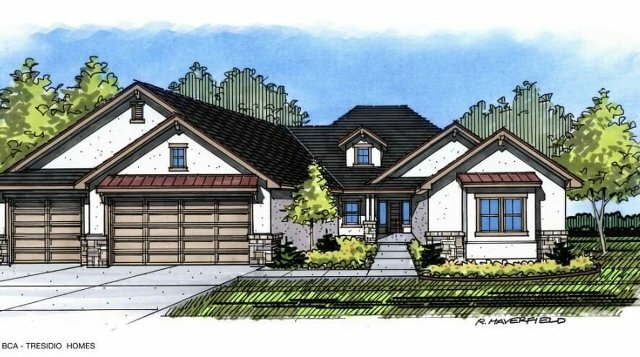 Located in the Rockport Subdivision (Star, ID), It features barrel ceilings, arches, designer tile, marble, and amazing symmetry in Millwork and design. Vantage, where dreams come into view. This gorgeous single level home by Core Building Co., has a massive covered back patio overlooking a breathtaking lake & water feature that will astound, & comes with an impressive array of features that will please the most sophisticated taste; from the incredible gourmet kitchen with upgraded appliances, to the quaint front courtyard & oversized garage. The spacious master retreat leads to an impressive master bath & large walk-in closet connecting to the laundry room. The Welsley boasts an impressive open floor plan featuring a large kitchen with island, stainless cooktop, and wall ovens. 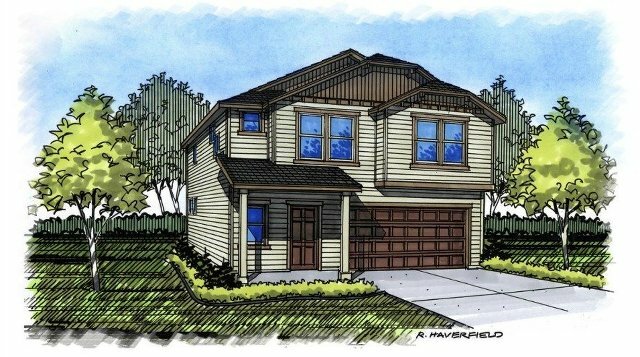 Your family will luxuriate in the spacious 2-story floor plan with 5 bedrooms, 4 baths, bonus, den and 3-car garage. Other features include a corner fireplace and granite countertops throughout. 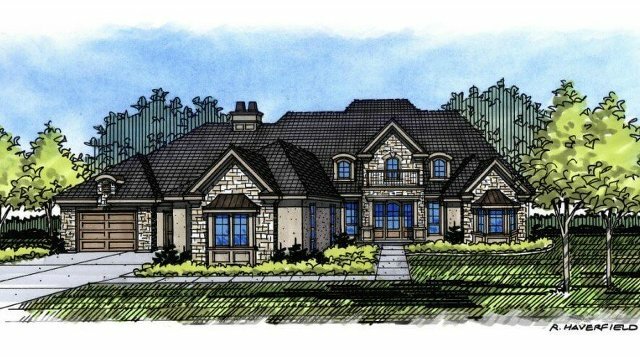 Discover the elegant and serene beauty of Lilac Springs, Coleman Homes’ newest community in Eagle with its country retreat feel, generous home sites, impressive amenities, and mountain views. “Ava Christine” by James Clyde Homes - This Modern Farmhouse offers a warmth and simplicity, characterized by natural wood accents and black framed expansive windows. A mixture of glass front cabinets combined with open shelves create an eclectic farmhouse look. Sleek Thermador appliances, unique finishes and exquisite lighting complete the look of this Modern Farmhouse. 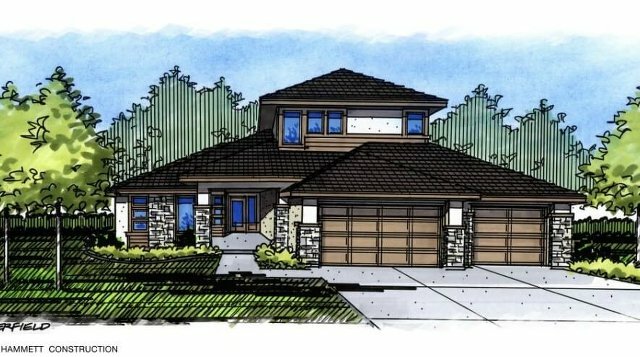 The Emerald is a single story home featuring hardwood floors, quartz countertops and flat paneled custom cabinets. The open floor plan maximizes space and provides excellent flow from room to room. The patio can be accessed from the great room and the bonus room, making the outdoor space equally as great for entertaining and gathering. Large windows allow natural sunlight to flood the home while designer finishes complete the look. Welcome to Sandy Paws where luxury waterfront living meets paw friendly. This Stunning home features cathedral ceilings, abundant windows to enjoy your water and beach front views, private paver patio with built-in kitchen to allow ultimate enjoyment. This rustic industrial home will knock your socks off with textures and high-quality finishes as well as comfort and quality in design. This is one you don’t want to miss! “Summer Haze” by Mallon Construction is warm & inviting with lavish, well-appointed features you have come to expect from Mallon’s. Master bathroom is spa-like, custom cabinets, granite, porcelain tile, roll in shower. Gourmet kitchen high-end appliances huge walk-in pantry. Great room wall boasts 18’ vaulted ceilings w/uniquely designed floating beams/stone fireplace and a dramatic window design allows natural light flowing throughout the home, opens onto a private patio/ waterfront beach perfect for entertaining. 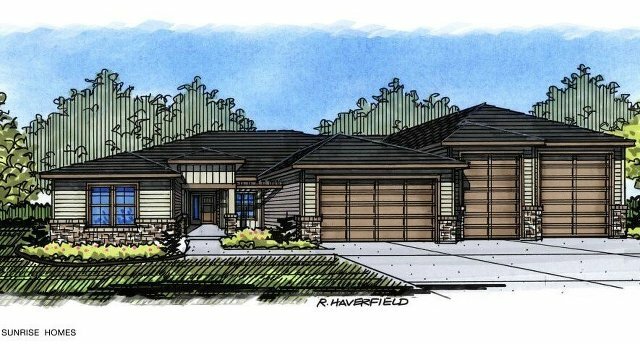 The Tidewater by Clark & Co Homes challenges the way you think about everyday living---step outside your back door to walks on the beach and panoramic views of Idaho sunsets over the water. Escape to the spa-like master suite with private sitting room and walk-through shower. Test out your newest recipe in the gourmet kitchen and entertain friends and family in the two-story great room and media loft. The Tidewater is resort quality living all year around! 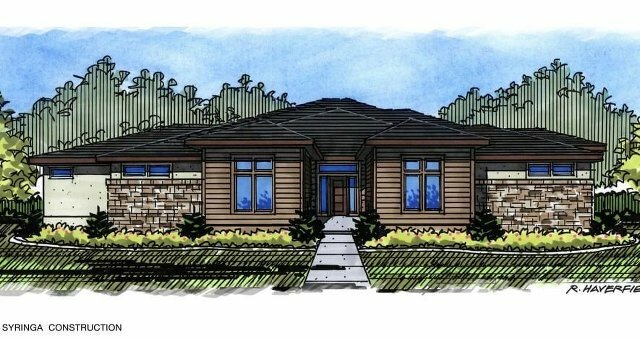 Award-winning Sherburne-Marrs presents The Lilly of Lakeside Retreats at Legacy, an airy, spacious 3-bedroom haven situated on a premier waterfront site. Inspired by mountain lakes and coastal architecture, Lilly’s abundant windows and distinctive Eagle’s Nest capture its stunning mountain and water views. Warm woods and washed brick create a relaxed sanctuary featuring expansive living areas and inviting terraces, a respite from a hurried world. Amenities abound: private dock, gourmet kitchen and luxurious master and guest retreats. 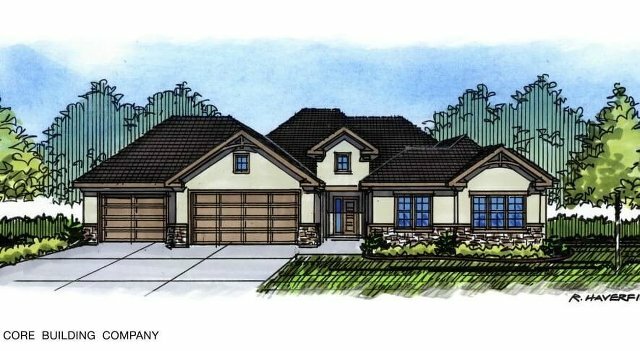 "THE EVERGREEN" This lovely single story w/RV garage is an exceptional value! Standard package includes top-notch upgrades: Granite counter tops, upgraded cabinets, full tile walk-in shower, Hardwood laminate and tile flooring. Nothing has been missed from the exterior to the interior. 44' RV Garage is unbelievable. Come check this home out! Such a gorgeous home, a description was not needed! Welcome to The Princeton! Take in panoramic views from the Eagle foothills of Azure’s latest custom home, the Observatory. This modern organic style mixes clean and contemporary architecture with natural and authentic materials, into a unified whole that’s down to earth and time-tested. 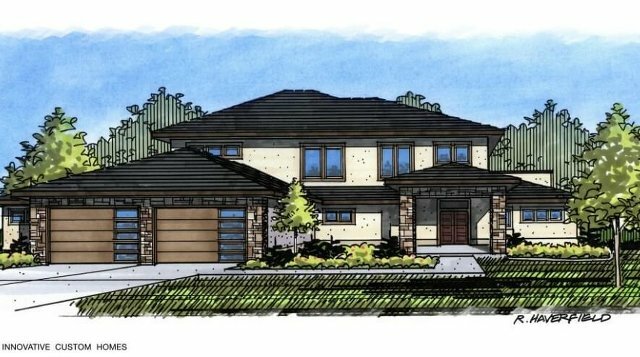 This efficient open concept plan feels much larger than 3,000 square feet showcasing a 20’ tall great room, 16’ multi-slide door opening to the outdoors and a featured open tread staircase. 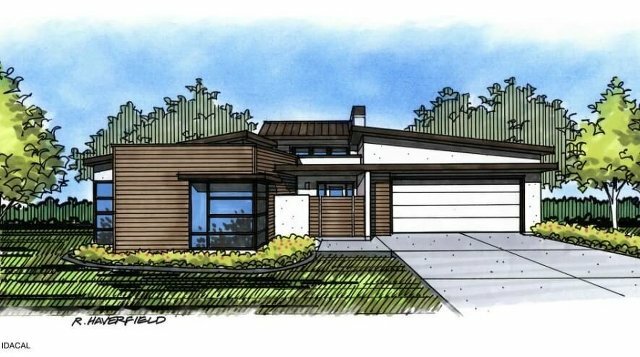 This striking home stands out in the Boise foothills as a beacon of contemporary elegance. Details highlighting the fresh modern architecture of this incredible home begin the moment you step into the breathtaking glass entry and continue throughout. Built with a focus on sprawling entertaining spaces, integrated technology and unique design elements. 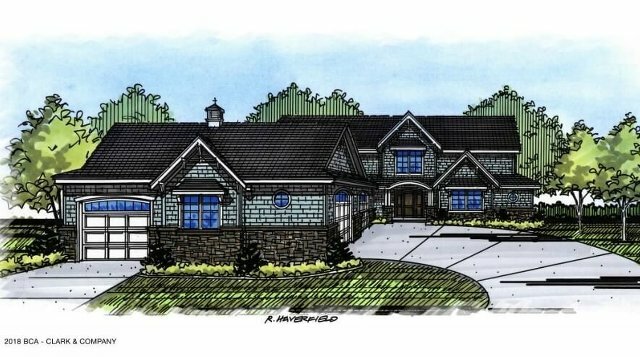 This home will be enjoyable to see, boasting many fun features including a game room, gym, simulated golf, wet bar and daylight basement. Definitely worth the visit. 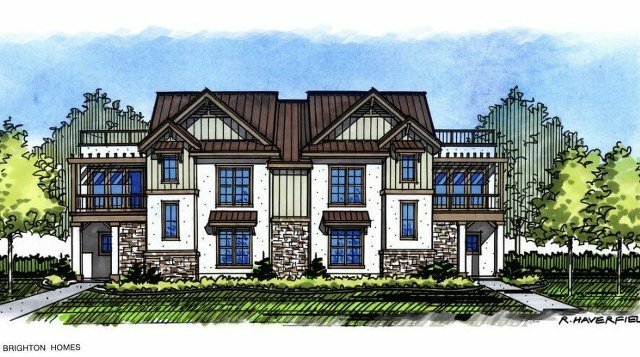 The Clearview by Paradigm Construction is the perfect balance of traditional European architecture and state of the art modern amenities. The old-world influence is carried throughout the home with beautiful hardwood floors, master carpentry, and intricate tile work. The home takes advantage of the stunning lake and mountain views while seamlessly blending outdoor and indoor living. 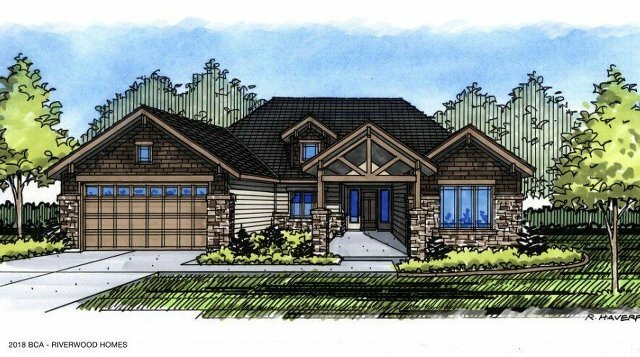 This gorgeous home showcases the best of Idaho building and living. 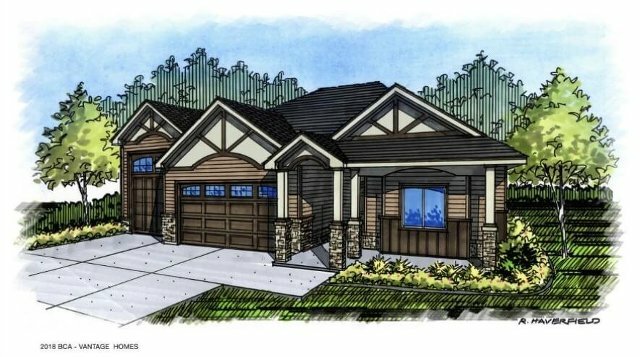 The Pierce by Syringa Construction of Idaho offers the epitome of luxury living in one of Eagle's finest neighborhoods. Excellence in design and construction, this home has exquisite finishes and details throughout. This very special home lends itself to the beauty of peaceful water view living, timeless quality with practicality and function. Single level living, spacious kitchen and great room area with views spilling out over the water brings life to indoor/outdoor living, a must for the Idaho lifestyle. Impeccably designed by Trey Hoff, this stunning home offers a waterfront site designed to invite the outdoors in. With the highest quality and trendsetting features, The Arnaz offers a pocketing window wall for seamless indoor/outdoor entertainment, which also allows for a ton of natural light throughout the home. A dramatic fireplace, storefront windows and a custom wine wall sets the style for this dual master suite plan. The designer kitchen boasts waterfront views and exceptional contemporary finishes. The 2250 square foot stylish Talent is a plan designed to fulfill all of your needs. The first floor features a wonderfully open kitchen with dining area and great room space, which is the perfect place for entertainment or relaxation. Upstairs is home to the radiant master suite, spacious bedrooms, and bathroom. The rest of the upper level contains a loft area. Talent offers style, function and space in a modest package. This year’s focus is on the heart of the home, the kitchen. Featuring all Gaggenau appliances, this European company leaves no detail out and it shows. In addition, our split bedroom plan embraces the best finishes to include natural stone, tile and wood flooring. 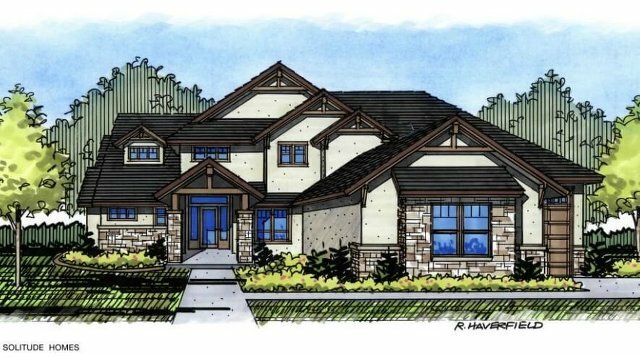 Located in the foothills community of Avimor you’ll experience an amazing view from the backyard, enjoy miles of trails, parks and a community center; here you’ll find exceptional living abounds. Welcome to Belveal Construction’s “Laird Park” – where innovation and country charm meet. You’ll fall in love with this sophisticated, modern farmhouse that combines chic details with just the right amount of rustic touches. This home boasts well-appointed living spaces, a main-level master, and three bedrooms upstairs, with additional space to play in the ample rec room. The stylish gourmet kitchen is clad in premium finishes and fixtures and is the perfect place to entertain! 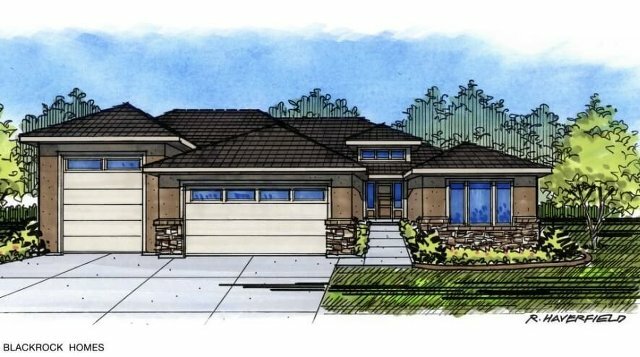 Rock Creek, named after Idaho’s “oasis in the desert,” gives nod to the historical bungalow architecture that makes living in Idaho feel so wonderfully familiar. The front courtyard creates a welcoming entry, adding light and warmth into your home. Enjoy culinary creativity with Bosch appliances, quartz surfaces, and a large island for entertaining. If you think three bedrooms will suffice, another bedroom and spacious bonus room upstairs will make you ready to settle in for good! The “Landon” has everything you’ve come to expect from Ninety Degree Construction! This spacious open floor plan and vast outdoor living space is perfect for spending time with family and friends. Rich warm colors, abundant natural light, and hand selected finishes create elegance while still allowing for everyday life. In one of Meridians most premier communities, this home will embrace you and leave a lasting memory. Timeless detail and master craftsmanship bring this HOME, home to you! Located south of the Freeway in S.W. Meridian, L2’s latest single level is sure to turn some heads. Every inch of this home is built to impress. 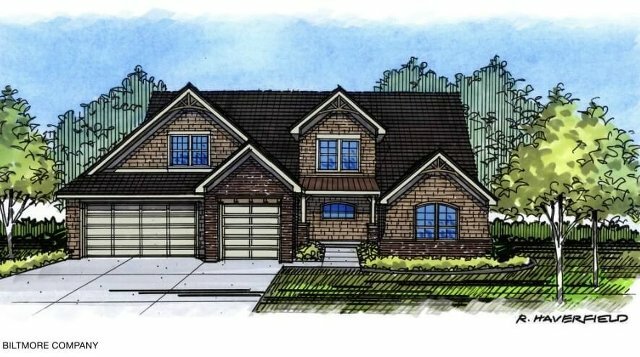 Its luxurious master suite, spacious great room, and subtle touches throughout paint the perfect picture for any lifestyle. Without question, the “Alpine” by L2 Construction sets the standard for modern living and design. Enter the Harrison by Berkeley Building Company to be greeted by a grand 2-story entrance w/elegant staircase and formal den. A stunning canvas incorporating a fresh revamp of an English country house w/deep, rich greens, timeless plaids, refined trim work and lush textures. 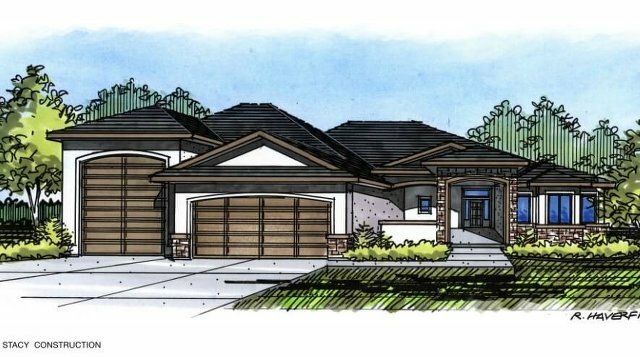 With breathtaking views that span the Treasure Valley, this single level living home with an impressive second level entertainment room & deck is an innovative new plan merging stunning, classic design elements with current layout conveniences. The Woodhaven is a perfect blend of easy living for those seeking indoor and outdoor living spaces. 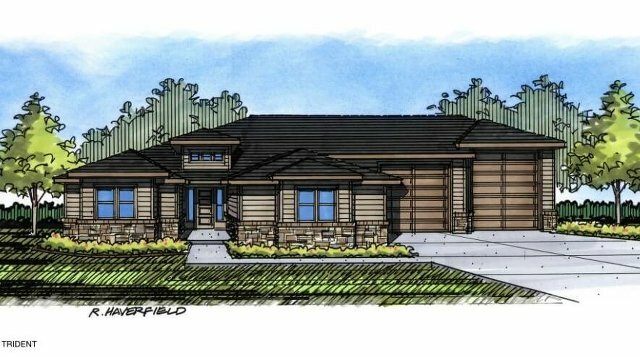 Vast window expanses, tall ceilings and an outstanding open living design, with 4 bedrooms, 2 ½ baths all wrapped in a low maintenance exterior with additional storage space and oversized RV garage. 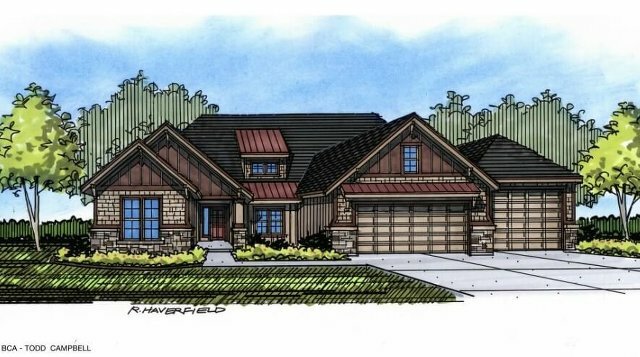 High quality products and amenities, along with well thought out designs are synonymous with Stacy Construction homes. 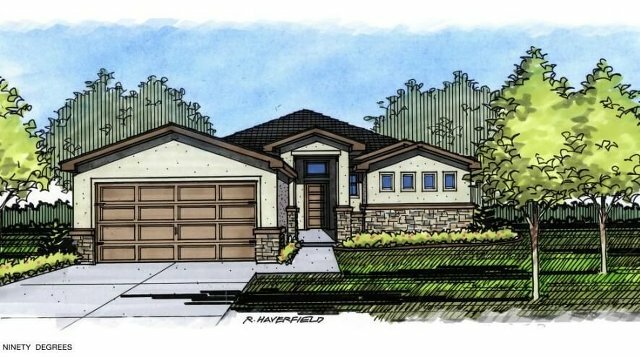 The Cottonwood is a stylish floor plan with many unique and useful features. Its rough-sawn timbers give the house a rustic style, while the tall ceilings and open windows provide plenty of natural light inside. The sunroom connects the indoor space with the outdoor patio with wide, telescoping doors. The gourmet kitchen includes an oversized walk-in pantry, and the master suite features a spacious wet room with both a shower and bathtub. You can’t fake refinement: It must be in a home’s small details. And with details like satin brass metal fixtures and subtle grey and honey wood throughout the house, the “Mattix” is refinement. Like the luxury European chateaus, the “Mattix” features a great room, where engaged conversation thrives. This plus the kitchen/dining room make up the home’s heart. Beyond this lies an activity room, the master suite, two more bedrooms, and 4 car garage. 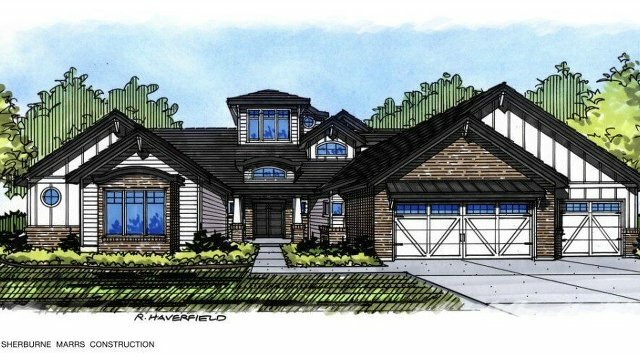 Hammett Homes introduces The “Dorset”. Clean, fresh with a rustic charm. 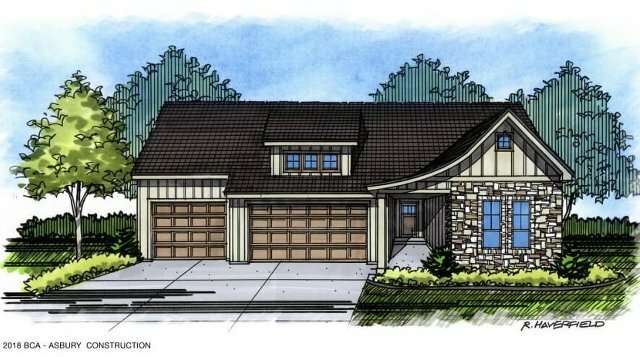 This single level with bonus room has open space, an oversized pantry and a distinguished front elevation. 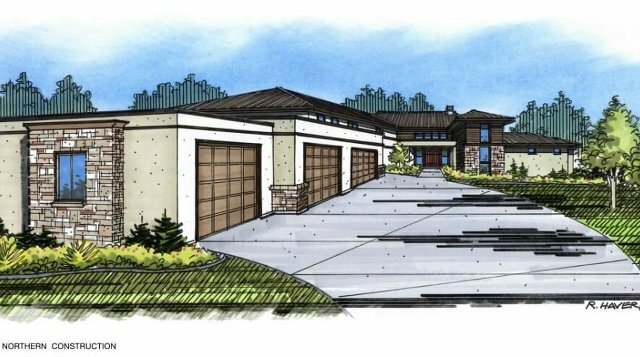 There is ample storage, oversized covered patio, coupled with a 3-car garage for your toys. Excellent location just south of the freeway in Shelburne! The Estrella by Blackrock Homes is marked by supreme craftsmanship. The great room, dining room, and kitchen, with their 10’ ceilings, feel expansive, allowing the traffic to flow from room to room. Yet, within the space are smaller areas that invite tea chats with friends and moments of solitude in the early morning hours. Exquisite finishes, contemporary fixtures, and a “boat bay” garage complete this luxury abode. 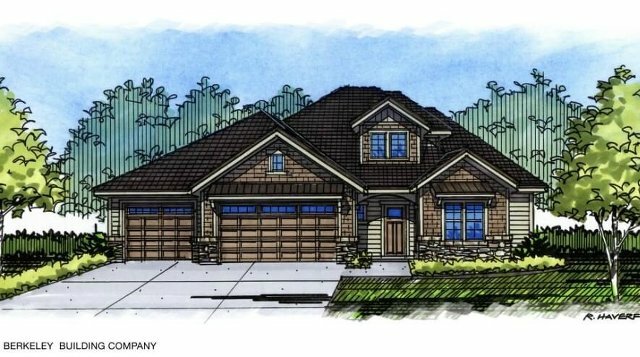 The Savannah is designed with the family in mind with all new design trends, soaring vaulted ceilings and large open spaces filled with natural light. The kitchen is a masterpiece of modern farmhouse with open shelving and an adjoining indoor/outdoor bar for entertaining. The master suite with spa bathroom will allow you to relax. The bonus area upstairs allows flexibility as a 4th bedroom, media room or flex space. The large RV garage with extra shop space is able to store all of your toys and still have room for the workshop of your dreams. 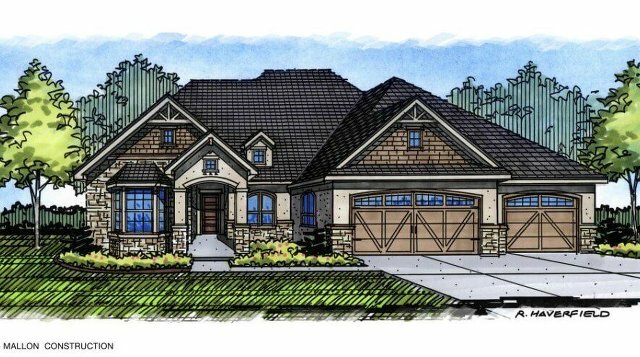 Parade Home #32- The Stratton by Biltmore Co.
“The Stratton” is your family’s next new home! 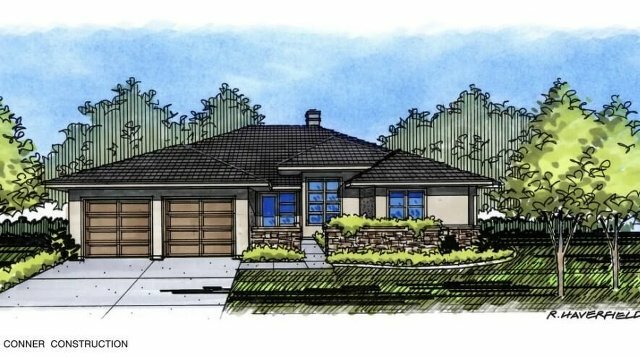 This strapping modern urban craftsman has vaulted ceilings in almost every room of the house, 2 story wrap-around staircase, fireplace in the Kitchen Hearth Room, large bonus room, kids computer space, beams and hardwood floors through all main-level living areas. Striking tiled kitchen hood, large pantry & black stainless appliances. The master suite is your retreat with his/hers vanities, mirrored closet doors and a stand-alone soaker tub. 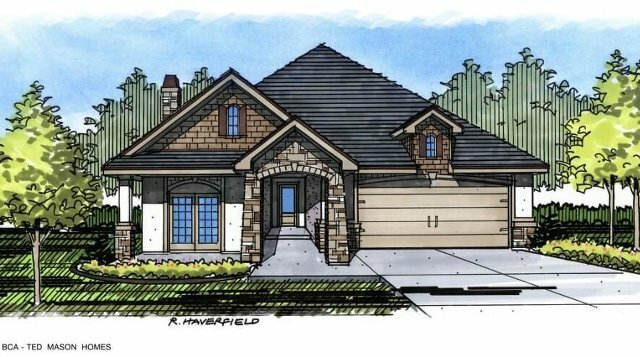 We think you will fall in love with the open floor plan concept of our newest home: Shadow Creek. The main living areas flow comfortably together and are bathed in ample natural light. The gorgeous ceiling with painted beams and tongue-and-groove planks is a must-see. A custom designed kitchen, hardwood floors, and a fireplace with stone to the ceiling are just a taste of the luxurious finishes you need to experience in this thoughtfully-crafted home. Asbury Homes welcomes you to the Mamasita, and just because it has a special place for Mom, don't think for a second we didn’t think about Dad! 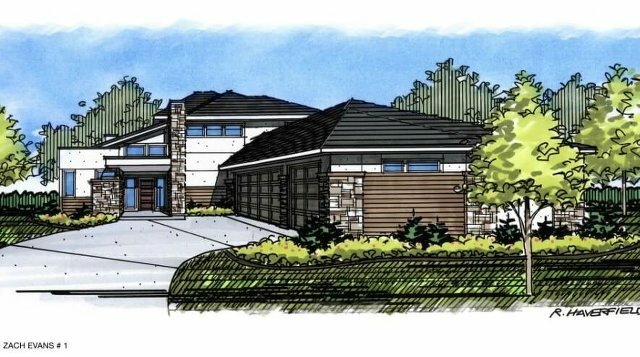 Innovative Custom Homes proudly presents “The Nighthawk”, with amazing views of downtown Boise and the foothills this beautiful home sits on a large lot just east of Hillcrest Golf Course. 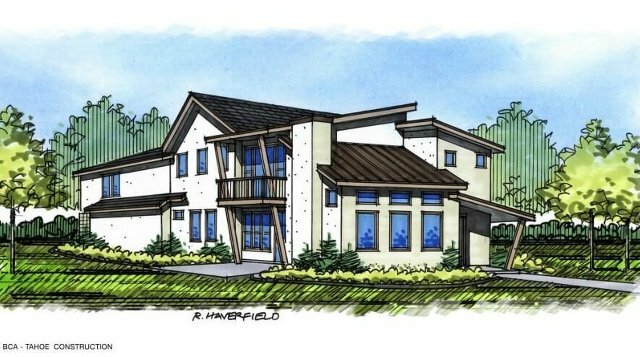 The contemporary design features floor to ceiling windows, main level master suite with private patio, large gourmet kitchen with walk-in pantry, game/theatre room, plus a bonus room with a wet bar and private balcony. Step above par at Highlands Cove, where the foothills and lush green golf course are just outside your door. 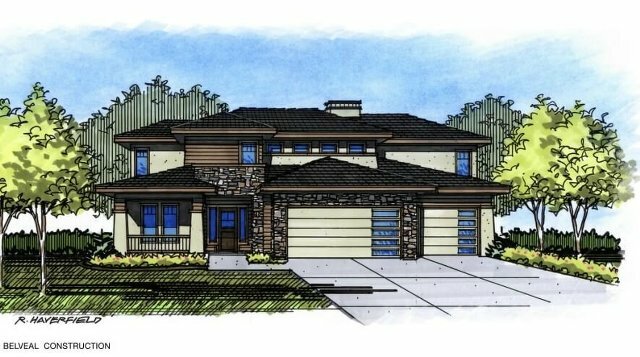 Nestled in the north Boise foothills just minutes to downtown, find the first finished home, The Cove. All one level with a sleek and contemporary layout complimented by amazing architecture and dazzling finishes. Built by Conner Construction, two generations working as a team to create homes for the most discerning clients. More than a home, this is an amazing lifestyle! 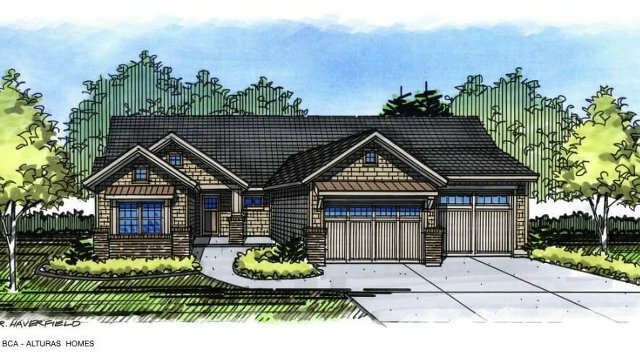 Settled near the Foothills, the Boise River Greenbelt, City Parks and our booming City Center, this home will be the basecamp for all of your Idaho adventures. With interiors inspired by boutique hotels of NYC, and a huge rooftop terrace, Studio B is one of the must-see homes of the 2018 Parade of Homes! 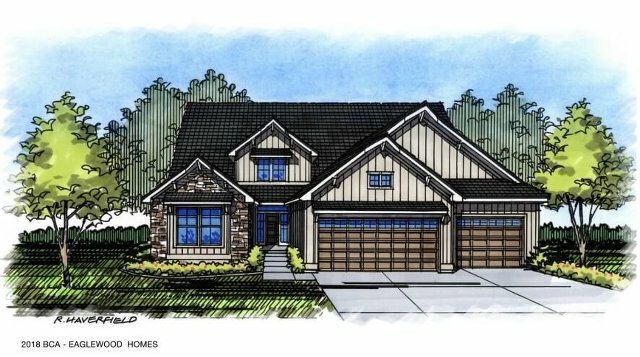 The Viceroy, located in Barber Junction at Harris Ranch - East Boise’s premier community, encompasses sleek detailing; creating an inviting, modern home. The expansive windows in the stunning great room bring in an abundance of natural light; the balcony off the master suite provides serenity and incredible foothill views; there isn’t much not to love. Nestled between the foothills and the Boise River, the best of the great outdoors is right out your front door. ZEC celebrates 25 years by presenting the "Madison" in Harris Ranch! This Home has a resort feeling to inspire Stay-Cation vibes. Exterior has fresh off whites and warm stained wood with a concrete accent. Interior has sophistication mixing warm and cool neutrals, with fun accents of blush and olive. Master Suite feels like a luxurious hotel and spa, while upstairs loft feels like an airy yoga studio retreat. Home has thoughtful modern details and refinement. 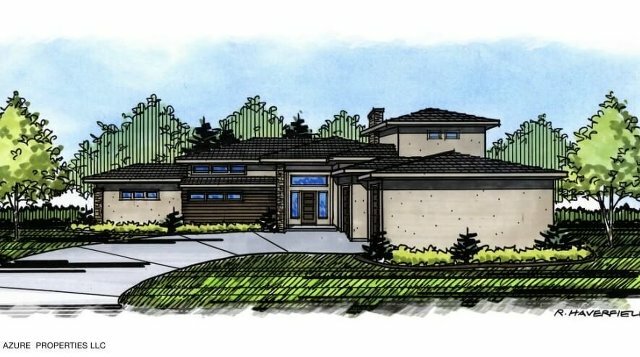 Welcome to Eaglewood's "Bitterroot" which showcases the commitment to build elegant homes that are warm and inviting. 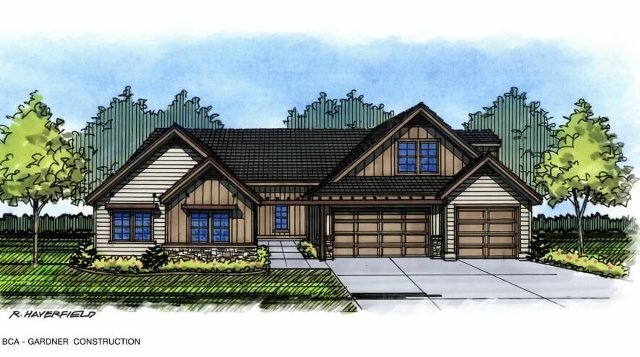 You will be amazed with the large entry, to the two-story gallery, to the open living room concept- the Bitterroot delivers everything today's homeowners are desiring and more. 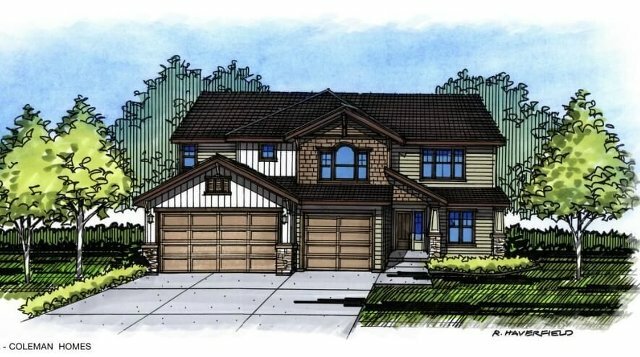 With distinctive iron works, custom cabinets, exorbitant amount of natural light and overall craftsmanship, the Bitterroot displays that Eaglewood sets the bar when it comes to building in the Treasure Valley. As you see, there is something for everyone! 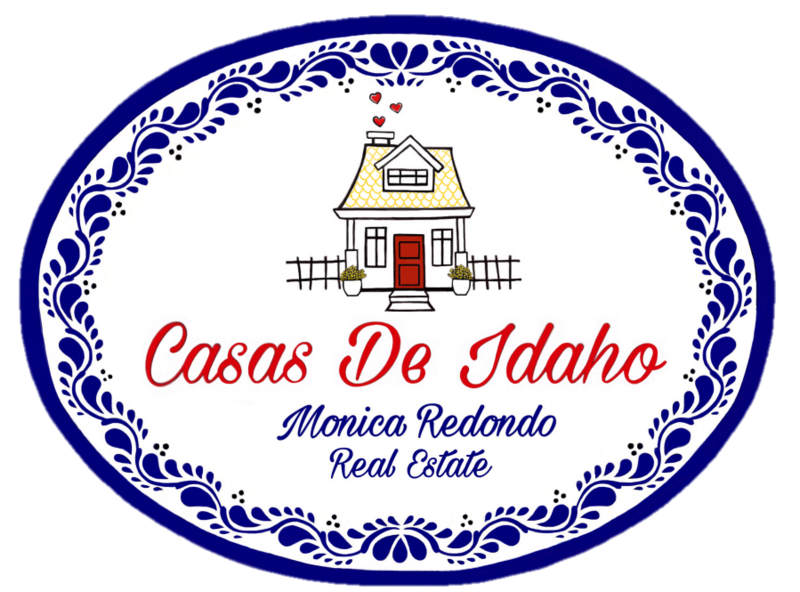 For more information, contact Monica Redondo (208)991-2352.